Children and youth are an important part of our religious community. Many times they are the wellspring from which come our newest and best ideas; often they challenge us to make our world a better place. 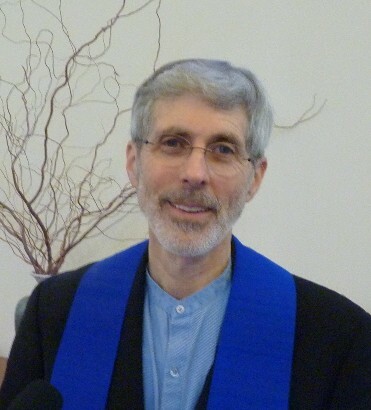 We encourage them in our Unitarian Universalist (UU) traditions by offering classes and activities so they can question, explore and become more engaged with our UU commitments. Our curriculum for children and youth comes from the themes of World Religions, our Jewish and Christian heritage, our UU identity and how these have informed our liberal religious faith. In the newsletter and each Sunday in the Order of Service, a short description of the children/youth’s Religious Exploration classes are shared. At any time you have questions or are interested in more information about the Religious Exploration program, please feel free to contact the Director of Lifespan Religious Exploration. We offer nursery care (infant-3 years old and 4 as requested/needed), Wisdom of Wondering (prek-3rd grade) class, UU Explorers (4th – 7th grade) and our YRUUs (8th – 12th grade). Our classes focus on the Soul Matters themes that help to build our UU Identity. This structure connects us to the larger UUCS community as our congregation also explores these monthly themes. Here’s the list of themes for this year. The Wisdom of Wondering classes also focus on learning the UU Principles through story. All children/youth through 7th grade begin their time in the service with their families. During the service, children/youth will be called to the front of the sanctuary to participate in a question that pertains to our Religious Exploration (RE) programming. A Love Arch down the center isle will be created and all children/youth exit to the RE classes. Preschool-7th grade will sing hymns together and proceed to their individual classes. After each service, parents or guardians pick up those in 3rd grade and below to join them for the fellowship time in Hanneman Hall. Children in grades 4th and up release themselves after their classes. Parents of 4th – 7th grade, if you wish for your children to stay in the Religious Exploration commons until you arrive, please let the staff/volunteer know. On specific Sundays or if we do not have an RE class offering (please see the calendar) ALL AGES of children/youth attend the service with their families. We will have tables set-up in the front and back of the sanctuary for any age to color or create a very simple project that reflects the theme of the month. These tables will be assisted by our Religious Exploration staff. Feel free to let your children quietly walk back and forth from these areas as needed. We feel that it is very important for your children to be a part of worshiping together with all ages taking in what they can at their developmental level. While in the sanctuary when we do not have the tables with activities, activity bags for the children are available at the greeter table in the foyer. Alternatively, parents can move to the Cozy Corner with their children where all can see and hear the service via TV. The service can also be heard in the nursery, if extra wiggle time is needed for any age! Multi-generational Services: All ages worship together in the sanctuary. Principles in Action Program: Volunteering in our community on a Sunday or work on social justice projects. OWL (Our Whole Lives): Human sexuality curriculum for kindergarten through high school. We offer this every other year. YRUU Faith Exploration: Youth attend a different faith service every 3rd Sunday. Special Sundays: All children/youth explore a specific topic or theme and worship together. For example, every second Sunday is the Soul Matters Theme Service. Yearly Offering Project: Children/youth bring money each Sunday for their chosen recipient. Youth Conferences: Senior Youth (high school) can attend a youth-led and -planned themed conference in the fall and spring. See advisors for current dates. Youth Winter Retreat: Senior Youth from the Willamette Cluster gather for a time of fellowship, activity and worship. See advisors for dates.